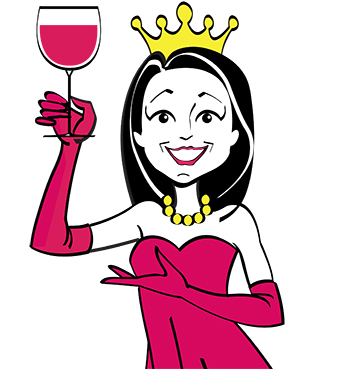 My name is Wine Princess, a creative name that represents my passion to discover excellent Italian wines and combine them with traditional Italian dishes, in elegant and unexpected ways able to give emotions. Welcome to my world! I live in the province of Milan, where I am lucky enough to be born and raised. Not really a town, but a country with a lot of countryside, which still allows the “good life”. My passion for wine and food raised during the frequentation of a professional sommelier class. In recente years the curiosity in the gastronomic world led me to read articles, attend workshops, conferences and visit producers and wineries. The decision to start a blog and put into the “virtual container” all my emotional choices comes after a waiting period for my relatives and friends. I read in their eyes a mix of admiration and astonishment about what I was doing. Here then is the purpose of the blog: tell with words, photographs and videos, the pleasure and taste that you create each time at the table. The play of emotions using all senses, is the way I approach a description of an energizing breakfast, a lunch, a comforting snack or an unforgettable dinner. Ready to travel the world with friends, to meet producers, restaurateurs, prepare dishes of traditional recipes and taste the nectar of Bacchus, to enhance and exalt the flavors and aromas of our wonderful Italy! My name is Wine Princess, a creative name that represents my passion to taste excellent Italian wines and combine them with traditional Italian dishes, in elegant and unexpected ways able to give unique emotions. Welcome to my world!